Home > POV > Are public report cards that evaluate individual physicians a good thing? 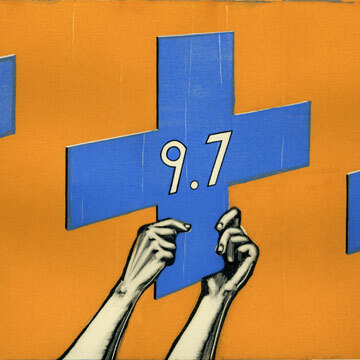 Are public report cards that evaluate individual physicians a good thing? Point: Yes, they are key in the nation’s efforts to develop a value-driven health care system; Counterpoint: No, because the wrong kind of measurements can do more harm than good. POINT: Yes. Public reporting on the quality of all health care services is key in the nation’s efforts to develop a value-driven health care system, says Carolyn M. Clancy, a general internist and the director of the Agency for Healthcare Research and Quality, one of twelve agencies that are part of the U.S. Department of Health and Human Services. A value-driven system is one in which substantial investments made in health care result in improved outcomes for patients. For such a system to work, patients, providers, policy makers and other stakeholders need reliable, comparable information to make informed decisions. We are seeing escalating health care costs and persistent evidence of a substantial gap between the best possible care and that which is routinely delivered. These observations have helped spur interest in the use of performance measurement to drive clinical improvements and inform patient choices. Although report cards and the performance measures that populate those cards are in a relatively early stage of development, we know that public reporting is associated with significant improvements in care. Data from the 2006 National Healthcare Quality Report, produced by the Agency for Healthcare Research and Quality, found that hospital measures of quality improved at a median annual rate of 7.8%. We have also learned that keeping data private isn’t as effective in quality improvement as public reporting. In Wisconsin, hospitals strongly encouraged by local employers to submit data on performance were split into two groups: those who saw the results privately and those whose results were posted publicly. One year later, the latter group had undertaken many more quality improvement efforts than the hospitals with privately reported data. In a follow-up study conducted two years after the Wisconsin data was made public, one-third of hospitals with public reporting had significantly improved their performance for obstetric conditions and only 5% saw a decline. For those whose data was reported privately, only one-fourth saw improvements in obstetric performance and about 14% saw a decline. A crucial next step is to engage consumers. Although the public expresses strong interest in knowing the quality of hospitals and physicians, evidence is limited that people are paying attention to and using the data. However, I am encouraged that from 2000 to 2005, the percentage of people doing so rose from 4% to 12%. For reporting on physician performance to be successful, measures must be valid, data must be risk-adjusted and samples must be of sufficient size. Given that high-quality care is often a team effort, an important but as-yet-unanswered question is: For which clinical situations should quality be measured at the individual level and for which should it be assessed at the team level? To get this right, physician leadership is crucial. Already, the nation’s physician organizations have led in the efforts to develop effective, fair physician performance measures and report cards. They are collaborating with consumers, policymakers, insurers and others to ensure that report cards are used to improve care rather than to deny coverage. Transparency regarding quality is a powerful tool if done wisely. The ultimate goal is not to create better report cards, but to add value to a clinician’s work by making it easier to provide the best care and focusing on what physicians believe to be in the best interest of their patients.